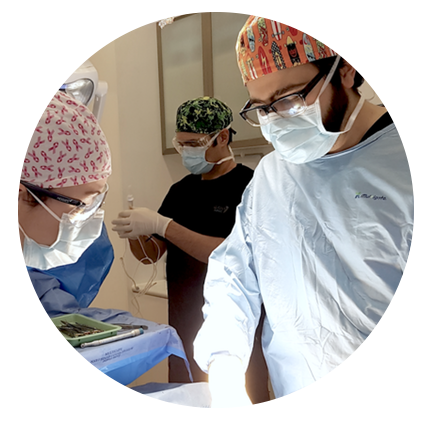 Perth All On 4 Clinic director Dr Misagh Habibi performs all the clinic’s surgery and restorations. He is highly trained and experienced with All-on-4 implants and other advanced implant treatments, and is an educator in the complex field of dental implants. Dr Habibi exclusively practices implantology and oral (dento-alveolar and periodontal plastic) surgery with a particular interest in full mouth rehabilitation techniques including the All On 4® and All On 4 Plus® and All On 4 Plus Zygoma® teeth replacement solutions, bone and gum augmentation (grafting) procedures, and sedation to ensure patient comfort. Dr Habibi is your implant dentist throughout the entire teeth replacement procedure, from discussing your goals and performing the All-on-4 implant surgery (and tooth extractions at the same time if required), to fabricating and inserting your new teeth. A University of Western Australia trained dentist with more than 18 years experience, Dr Habibi has been awarded a Master of Oral Implantology (MSc) from Frankfurt University in Germany and is a Fellow and Board Certified Diplomate of the International Congress of Oral Implantologists (ICOI). He is also a qualified and AHPRA-endorsed IV sedationist with a Graduate Diploma (Sedation) from Sydney University. Dr Habibi is the only All On 4 Clinic associate in Western Australia, and performs all of the All On 4® and All On 4 Plus® surgeries himself, meaning you develop a relationship with one Perth dentist and his support team throughout your treatment. He carries out both the surgery and restorative parts of your treatment and believes in an understanding, caring and comprehensive approach to treatment. As a Master of Oral Implantology Tutor and Supervisor for Goethe University Frankfurt, he mentors and grades international students, their casework and research in the field of dental implants. All-On-4 has significantly improved implant Dentistry processes nationally. Founder of All-on-4 Clinic, was an invited speaker at the 2015 IIDC on All-On-4 Plus and Zygomatic Implants. Dentalcare West was established in West Auckland in 1965 and since being acquired by Dr. Scott Waghorn in 2007 has grown to become the largest dental practice in New Zealand. Dentalcare West is the only dental practice in New Zealand to have a purpose-built GA Surgical theatre, where all advanced treatments including All-on-4 are performed. DFY Dental’s approach to your dental health, care and general well being is one of complete dedication, matched by our drive to help you look and feel your best. Dr Yassmin has designed the practice to deliver superior dental care in an atmosphere of warmth and understated elegance. Being the All on 4 Sydney Clinic has allowed Dr Yassmin to further develop the quality of care he is able to offer his patients. In a comfortable environment your treatment goals are carefully discussed so an optimal treatment plan that will integrate both your dental health and aesthetics. The Cosmetic Dental and Implant Centre’s treatment philosophies are simple. It believe in a conservative approach to managing dental problems…if teeth can be saved, that what the Centre’s practitioners endeavour to do. Above all, Dr New’s attitude to patients is to treat them as though they are part of his family, that way patients are always offered what he truly believes is best. Brunswick Family Dental Surgery is one of the largest practices in the inner northern suburbs of Melbourne. With a total of six dentists and four oral hygienists/child therapists, there is always a professional to assist with your treatment. Our objective is to create the best experience for your Family’s dental needs. Dr Helen Arabatzis and her highly trained and exceptionally friendly team have been proving their excellence since 1999. 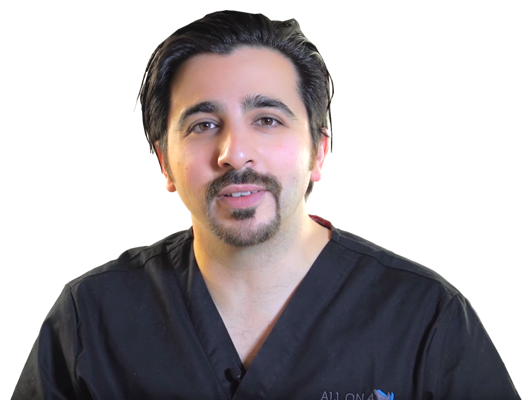 Cosmetic and Implant Dentist Joe Xanthopoulos works alongside Dr Alex Fibishenko, founder of All-On-4 Clinic in Kew’s dedicated state-of-the-art facilities.